One of our most popular posts on this blog was our article on Vegetable Smuggling, so with that in mind, we decided to post this awesome recipe. Your children will never know they are eating vegetables in their banana muffins! That is definitely a Win-Win situation! 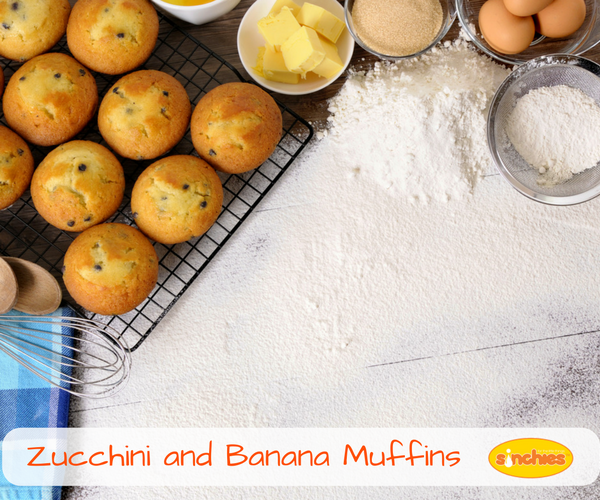 In another bowl add the flour, baking powder, bicarbonate of soda and salt & chocolate chips if using them. Stir until combined. Add the wet ingredients to the dry ingredients and mix with a spoon or fork until combined. Pour into cupcake cases or a tin and bake for about 20 - 30 minutes, until golden. Next post: Sinchies for Dads! Yes, You Heard Me; Sinchies for Men!